Kids in the City: Minneapolis. Opens in a new window. Visiting the Mall of America. Opens in a new window. A tale of twin cities. Opens in a new window. Lincoln and an older woman who served us breakfast in the restaurant were wonderful. Amazing location in the heart of downtown. Service was prompt, friendly, and professional. Parking is inexpensive for the area, compared to other hotels. Room was a good size, not badly appointed, and the beds were comfortable. Dark rooms, on both sides of the hotel. Outward facing windows are blocked from getting much light by the skyscraper across the street, and inward facing windows look across a purple-lit hotel lobby, so it looks like a Drake music video. The lamps in the rooms are pretty dim. Amenities are so-so. No pool. No roof deck. The restaurant downstairs is nice, however. The bison burger is especially on point. Where to find Minneapolis hotels near an airport? How can I find hotels in different Minneapolis neighborhoods? Where can I find hotels in Minneapolis that are near tourist attractions? Minneapolis - St. Paul is a major city in United States of America. It offers a nice range of fascinating neighborhoods and communities to explore, including Minneapolis, which you'll find 7 kilometres (4 miles) to the northwest of central Minneapolis - St. Paul. Mall of America is Minneapolis - St. Paul's premier visitor attraction, while the University of St. Thomas and Minnehaha Park are also popular. Top Minneapolis - St. Paul tourist attractions include the Mill Ruins Park and Basilica of Saint Mary. 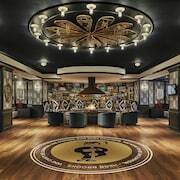 Minneapolis boasts a terrific selection of short and long-stay accommodations near the University of Minnesota-Minneapolis, including The Commons Hotel Minneapolis, Aloft Minneapolis, Courtyard by Marriott Minneapolis Downtown, Ramada Plaza Minneapolis and Days Inn Hotel on University. 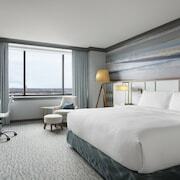 Positioned close to the Augsburg College is the Kimpton Grand Hotel Minneapolis and Sheraton Minneapolis Midtown Hotel, while the Radisson Blu Minneapolis Downtown and Marriott Minneapolis City Center are close to the Walker Art Center. 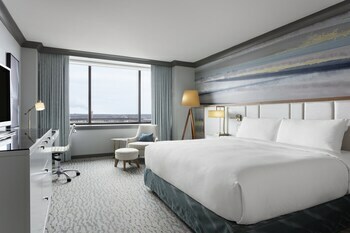 The Hotel Ivy, a Luxury Collection Hotel, Minneapolis and Residence Inn By Marriott Minneapolis Downtown make ideal accommodation choices for those who are keen to spend a little more. Of course Minneapolis' hotels aren't the only choices in the area. Nicollet Mall is a close Minneapolis - St. Paul area that has a number of hotels. 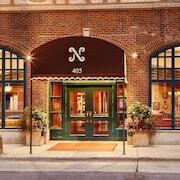 Learn more by visiting Expedia's Nicollet Mall hotels guide. 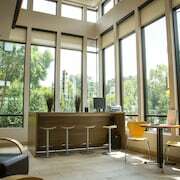 Expedia's up-to-date Minneapolis - St. Paul hotels page is a great place to find accommodation around Minneapolis - St. Paul. Want more information about Minneapolis - St. Paul? Look up our things to see and do in Minneapolis - St. Paul page. 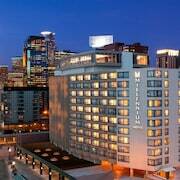 What are the most popular Minneapolis hotels? 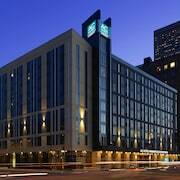 Are there hotels in other cities near Minneapolis? What other types of accommodations are available in Minneapolis? Explore Minneapolis with Expedia.ca’s Travel Guides to find the best flights, cars, holiday packages and more!